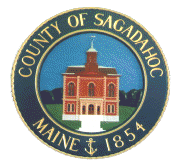 Sagadahoc County EMA is dedicated to promote the four phases of emergency management (mitigation, preparedness, response, and recovery) and to provide the residents and tourists of Sagadahoc County with the highest level of all hazards planning possible. SCEMA will utilize the resources available to maximize the safety and services to the citizens. Click here for more information.